Yes, ATVs are fun and interesting for kids and adults but the only thing you MUST always remember is SAFETY. 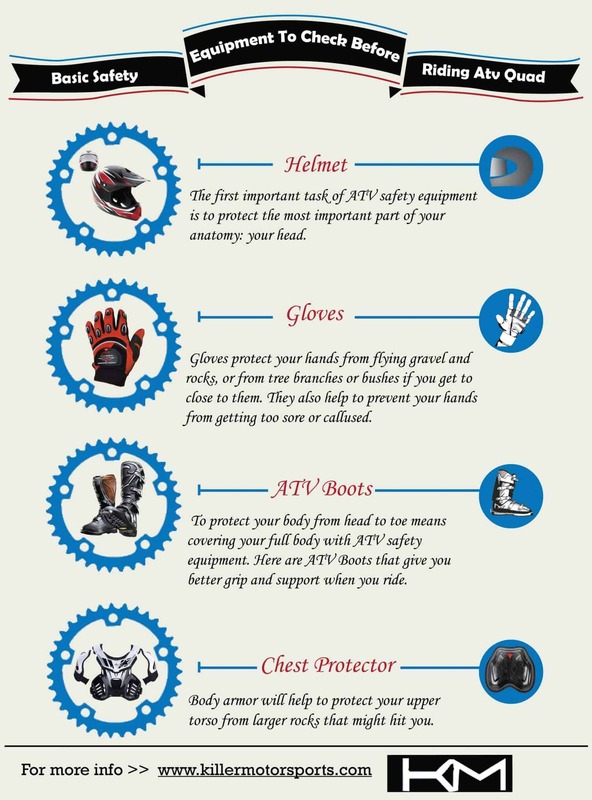 This infographic gives you a quick overview of the safety equipment which is absolutely must-have for kids and adults who riding a four-wheeler. Find the selection of ATV helmets for kids here. Find more ATV safety equipment on Amazon. My Kid Wants The Best Ride-On Toy. Kids ATV VS Go-Kart. What to Choose?